As the deadline to file Tier II Hazardous Chemical Inventory Reports quickly approaches, VelocityEHS is reminding safety professionals to submit their 2016 inventory forms by March 1, 2017. 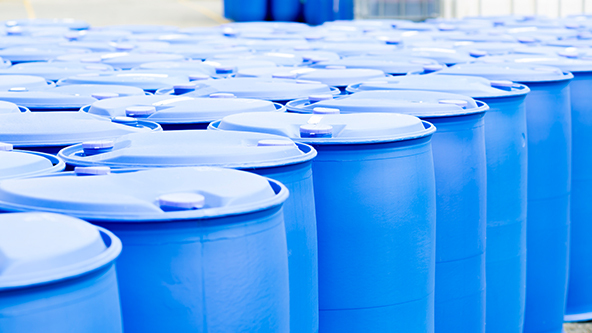 Facilities with hazardous materials present at or above the threshold amounts established by the Environmental Protection Agency (EPA) are subject to the annual reporting obligations. Tier II forms capture information about the types, quantities and locations of hazardous chemicals at a given facility. Mandated by Section 312 of the Emergency Planning and Community Right-To-Know Act (EPCRA) – also known as the Superfund Amendments and Reauthorization Act (SARA) – Tier II forms reporting the previous year’s inventory are submitted annually to local fire departments, Local Emergency Planning Committees (LEPCs) and State Emergency Response Commissions (SERCs). The information helps local and state emergency responders prepare for chemical events that could affect the community, and provides an emergency point of contact for each reporting facility. To fulfill EPCRA requirements, facilities are required to submit either a Tier I or Tier II report. However, since the Tier II report includes all of the information found the on the Tier I, plus additional information, most states require use of the comprehensive Tier II report. To see the Tier II reporting obligations for your state, visit the EPA website and click on the name of your state from the list provided. It’s important to also note that businesses or facilities with Tier II reporting obligations will likely have additional obligations under SARA Title III. For instance, Section 311 of SARA Title III requires facilities with chemicals above certain thresholds to provide safety data sheets (SDSs) for those chemicals to local and state emergency planning agencies. Facilities with obligations under Section 311 also have obligations under 312. In other words, if you have to provide SDSs to emergency planning agencies because of Section 311, then you have to submit a Tier II report for Section 312. What is a Tier II Threshold? Different chemicals have different reporting thresholds and you should always check the thresholds for the chemicals in your facility. For instance, for most chemicals the reporting threshold is 10,000 pounds. However, the EPA has a list of Extremely Hazardous Substances (EHSs) for which the reporting threshold is only 500 pounds, and some EHSs have even lower reportable thresholds called the threshold planning quantity (TPQ), which can be as low as 1 pound. For Tier II Reporting purposes, facilities with EHSs are to refer to either reporting threshold or the TPQ, whichever is lower. It is also important to keep in mind that gasoline and diesel have their own separate threshold levels; retail gas stations with all grades of gasoline at or above 75,000 gallons and all grades of diesel at or above 100,000 gallons are required to file a Tier II form. What Happens If I Don’t Report? Any SERC or LEPC may bring civil suit against an owner or operator of a facility for failure to provide Tier II information or for failure to provide emergency planning information needed for regional emergency plans. Additionally, some states have state statutes that provide for penalties for noncompliance. While EPA penalties for Tier II reporting violations have always been steep, the price of noncompliance in 2017 has increased substantially. Under the recent inflation amendments that went into effect in January of this year, EPA fines for Tier II violations can now reach up to $54,789 per day. Can I Electronically Submit Tier II Forms? Tier II reporting requirements and procedures vary from state to state. While most states accept electronic or hard copy Tier II forms, some only accept forms submitted online, using state-specific submission software or the EPA’s Tier2 Submit software. If you’ve previously used Tier2 Submit and plan to use it again this year, be sure to download and use the latest version of the software. Visit the EPA website to learn about your state’s specific Tier II reporting requirements and procedures. The cloud-based MSDSonline chemical management solutions from VelocityEHS help ease the stress around annual compliance tasks, like Tier II reporting, by streamlining the tracking, inventorying and reporting of hazardous chemicals in the workplace. The MSDSonline HQ and HQ RegXR Accounts make it easier to determine your threshold reporting obligations and streamline the generation of electronically submittable Tier II reports. For more information about how the VelocityEHS MSDSonline chemical management solutions can help improve your chemical inventory management and compliance obligations, visit www.msdsonline.com.